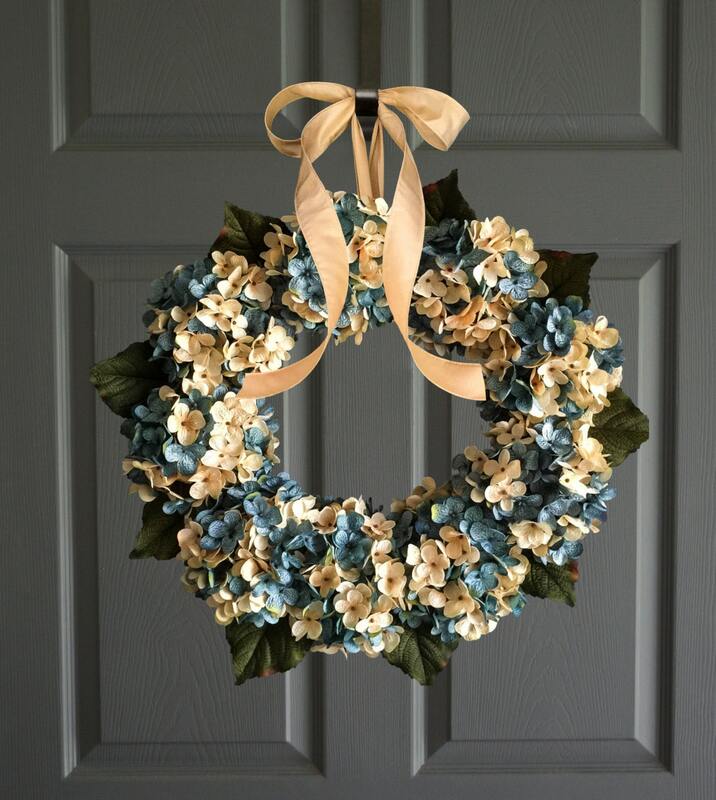 A Blended Hydrangea Wreath in artificial hydrangeas. 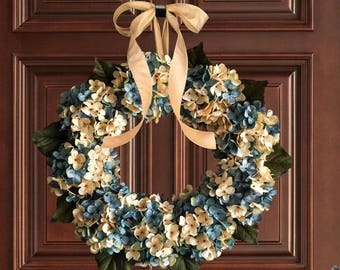 Handmade with artificial hydrangea mix of aqua blue and cream flower colors. The wreath is finished with a satin ribbon. Looks stunning in my new living room! Very elegant and unusual, a perfect fit for my new home’s red door with etched glass window. Thank you so much! Beautiful wreath! Colors are so vibrant. Love it! 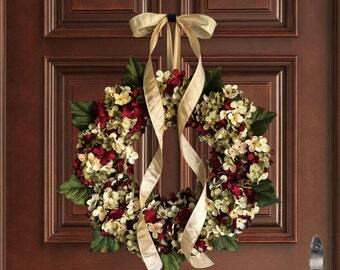 The wreath is beautiful and looks great on my front door. Seller responded quickly to questions I had.